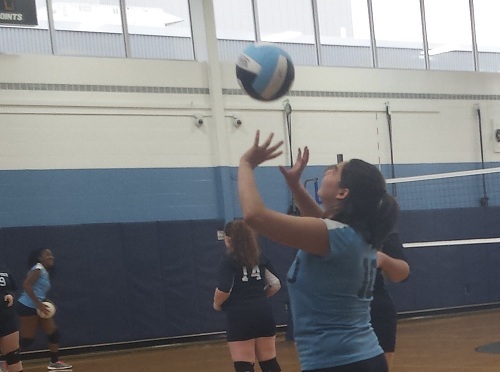 Senior Naomi Gomez has been chosen to represent the Girls’ Volleyball team as October’s Athlete of the Month. Naomi is a fun loving member of the team who has improved throughout the year to become a key contributor to the Lady Knights. Naomi has developed into a solid front line player and can be counted on by the coaches to be a positive leader on the team and received this season’s coaches award. She will be missed by her teammates next year. Robby’s excels in his ability to lead the team as captain on and off the soccer field. This characteristic is especially recognized as Robby is only in his Junior year. His example as a positive role model is very contagious and motivates his peers to strive to be their best day in and day out. During the season, the team needed help at the forward position due to injury, Robby was willing to move from his defensive position to forward and he produced three goals in three games. He also helped with a tremendous performance on defense against Somerset Tech a 2-1 victory at home.